Browns Crane's Incorporating Pakenham Mobile Cranes have been a number one choice for crane hire and crane operators for over 30 years. 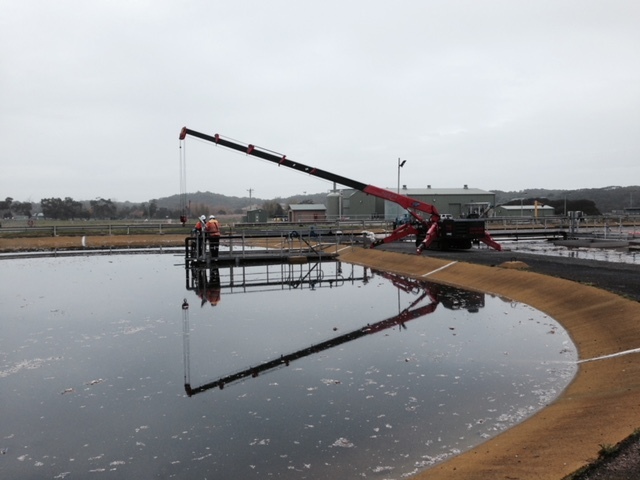 Previously working Australia-wide, we now focus our cranes and telehandlers for hire in Victoria. Our cranes for hire are suited to work in all terrains and have worked for mining, quarrying, civil engineering, construction and government projects. Working on both onshore and offshore projects, our crane riggers are equipped with the expertise and qualifications to tackle any project large or small. Our riggers have a current OH&S certificate of competency and are dedicated to providing crane hire service that is top quality and ensures you are not disappointed with the service provided. When you choose our cranes for hire for any of your lifting requirements, you will always be met with an experienced and professional operator. With a large amount of experience under our belt, we are able to operate the machinery in a professional manner whilst keeping safety and environmental responsibility in mind. We have a fleet of cranes that range from our mini crawler to our 30-tonne slew crane. This means we’re well equipped to tackle any projects of any size. 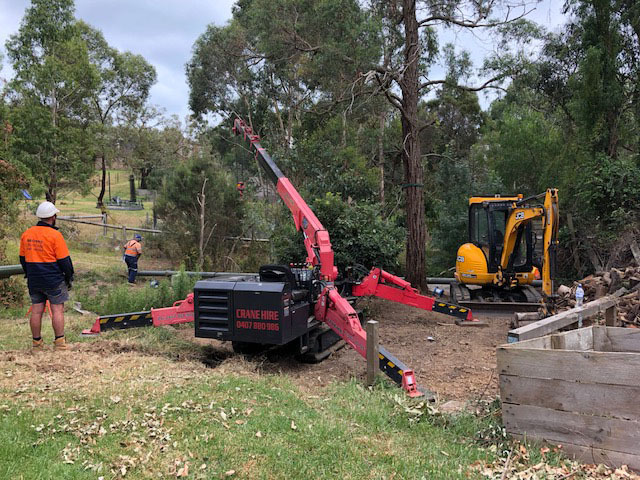 At Brown's Cranes Incorporating Pakenham Mobile Cranes, we have a flexible fleet that has the capabilities of working on all types of terrain. The largest of the three cranes, there isn't much that this crane is not able to lift. From lifting great loads to lifting to great heights, the 30 Tonne Slew Crane has got you covered. The AT-20 is the middle class of the three cranes. With a massive 20 Tonne lifting capacity at 1.4m radius, this crane will take care of most tasks you throw at it. This small machine really packs a punch. 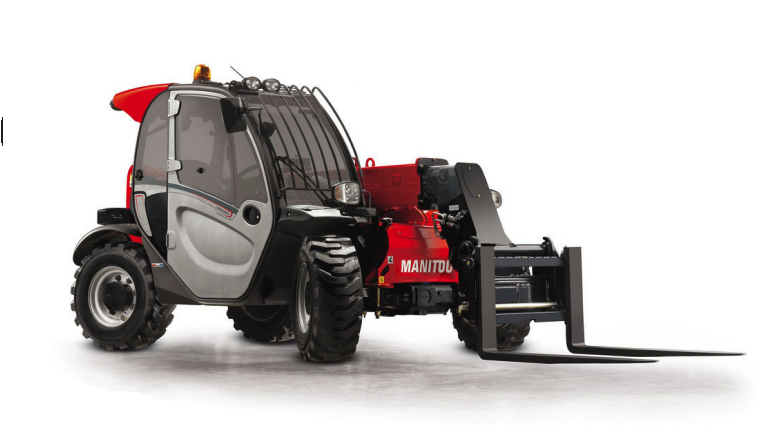 For those times where you need something lifted in a tight space or even in the open, the UNIC Mini Crawler is a machine you can rely on. Our mini crawlers are ideal for applications in confined spaces or areas where height is limited. We also offer a prompt delivery & pick up service with our own truck that will come with mini crawlers crane at all times. With our Manitou MT625 and Manitou MT1335H telehandlers, Browns Crane's are able to assist in placing and removing loads up to three storeys high. Our telehandlers for hire are ideal for working in bulk loading or unloading from storage areas, underground car parks and low headroom buildings on congested sites. Provider means the company using this website to display their goods and services. Questions or complaints from Individuals relating to Provider's dealings with Personal Information should be directed to Provider on company email address displayed in the Contact Us section.